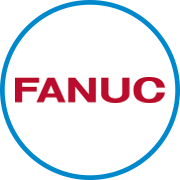 MPE Machine Tool, Inc. has long provided quality Fanuc America machine tool retrofits, across a broad range of controls including the new Fanuc 30i series controls. Of course, along with these controls we also integrate the Fanuc Alpha Series Servo Motor/Drive systems and FANUC PLC. We at MPE are committed to continuously improving our knowledge base, tools and processes, so that our Fanuc America customers experience many years of trouble-free and profitable machine tool operation. We at MPE Machine Tool, Inc. look forward to serving you with world class Fanuc America CNC systems.